Your kitchen is going to be so neat, you might not even recognize it. 1. 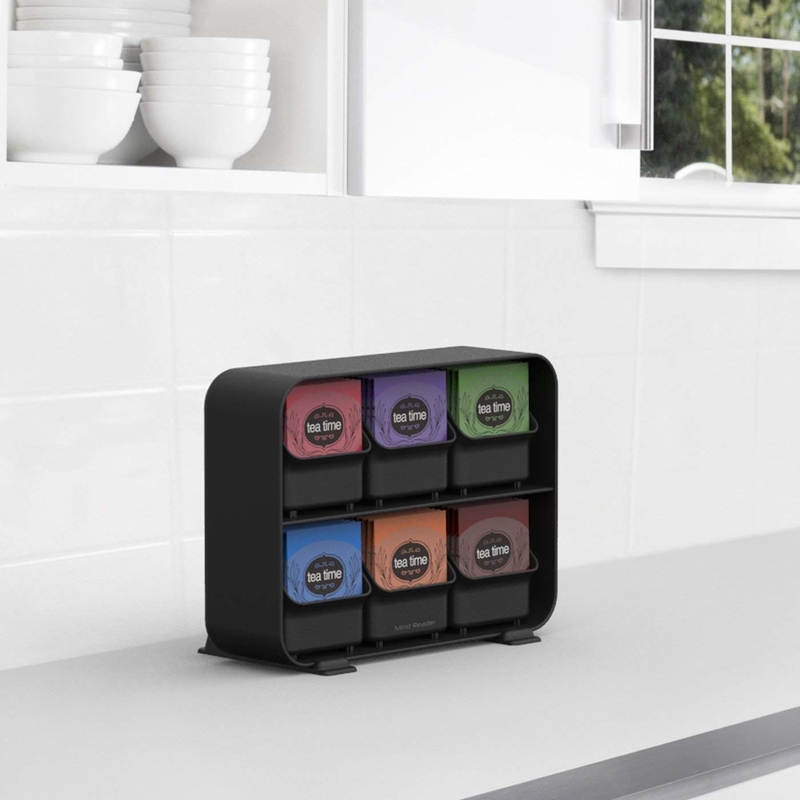 Cut these customizable liners designed to hold your spices in place and fit them into your drawers. Pop them right out when you need to clean them! Get a pack of six on Amazon for $14.99. 2. Organize your cleaning supplies without having to drill any holes thanks to an over-the-door basket. 3. 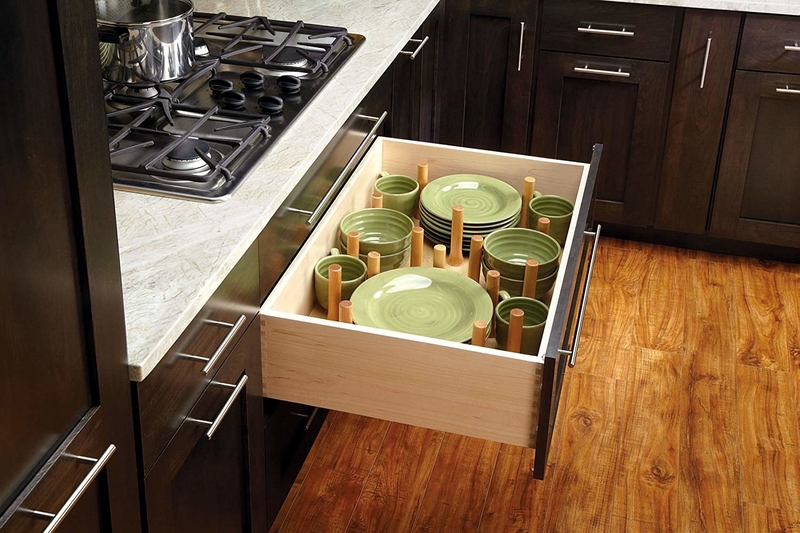 If you have a lot of knives, try an in-drawer bamboo block to keep them safely organized and accessible. Get it on Amazon for $24.42+ (available for 12 or 16 knives). 4. 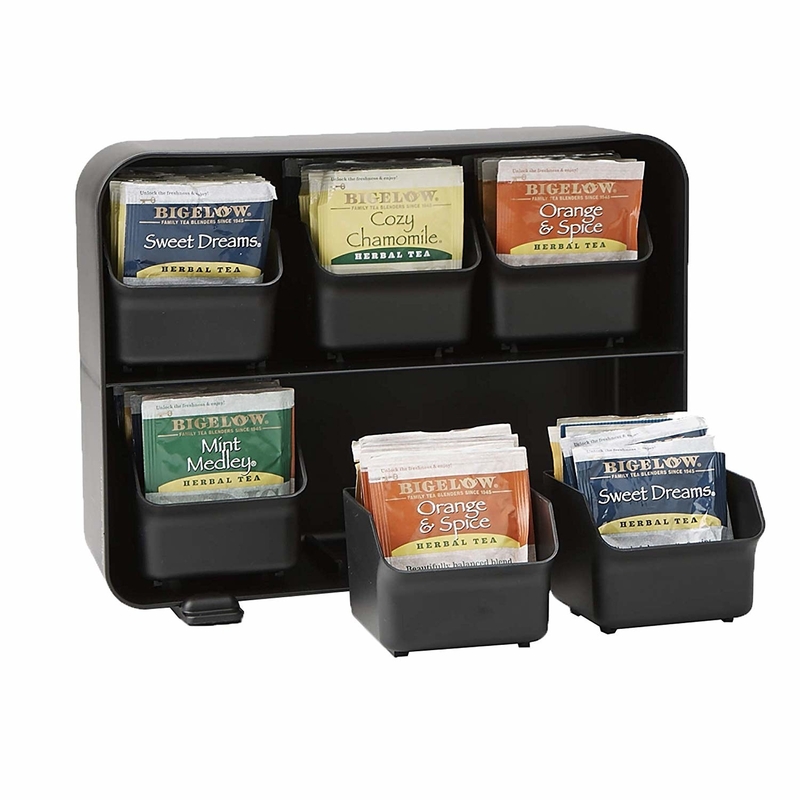 Keep your tea in one easy-to-see-and-reach place with a six-drawer organizer that can fit up to 15 bags per drawer (about 90 bags total). Get it from Amazon for $9.99 (available in black, red and white). 5. 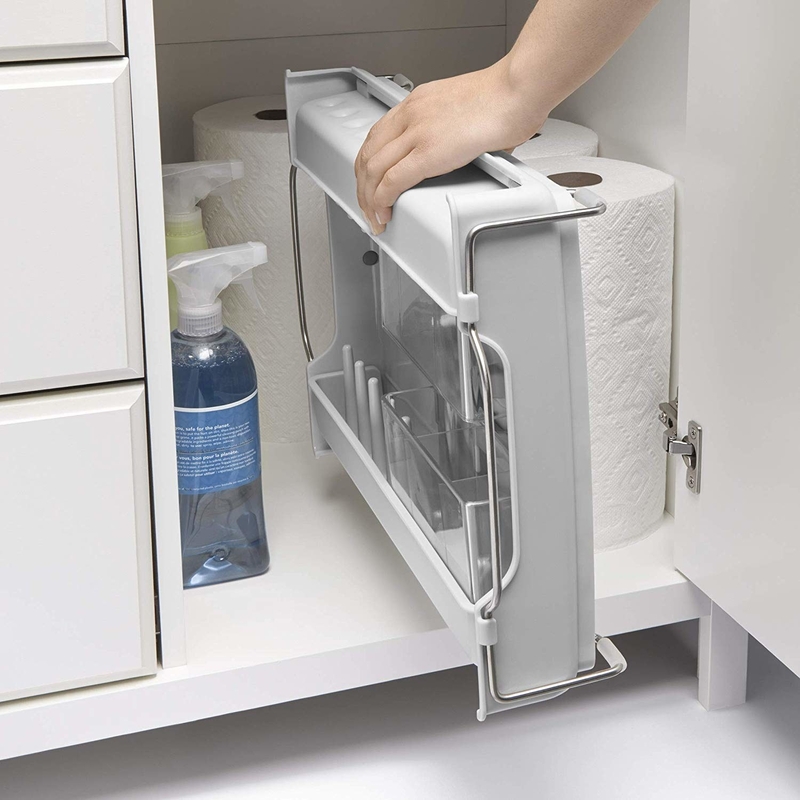 Create extra storage under your sink with adjustable shelves that fit around your pipes. Get it on Amazon for $20.87 (available in silver or bronze). 6. 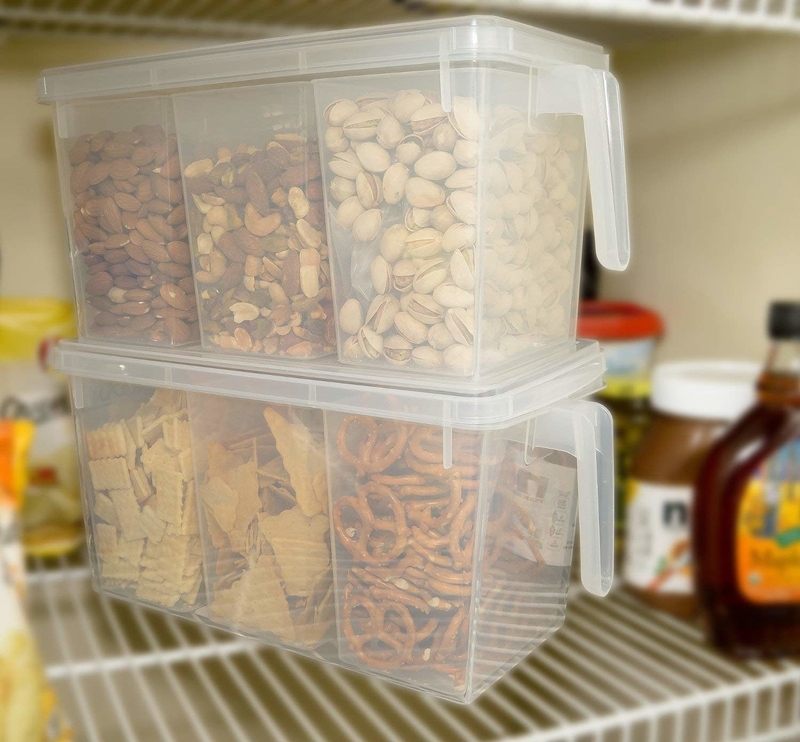 Use a storage bin with a spout to make accessing your dry goods a little bit less of a mess. Get it on Amazon for $9.87. 7. 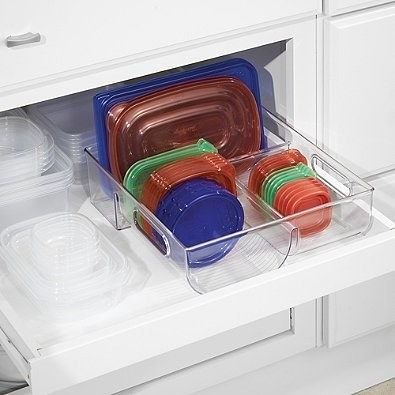 Make everything visible and accessible with a three-tier cabinet organizer. Get it on Amazon for $6.99+ (available in 10" and 15" options and in gray and blue). 8. Or try an adjustable and corner-turning multi-level shelf that'll allow you to store and see things all the way in the back of your cabinet. Get it from Amazon for $35.36. 9. 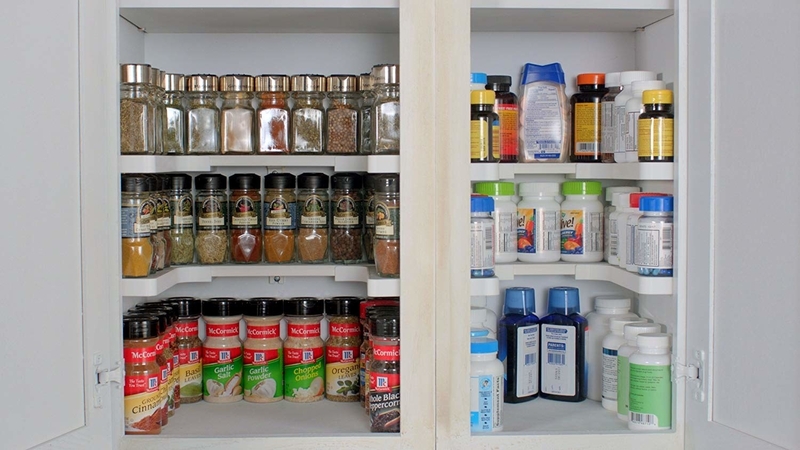 Get a lazy Susan for your pantry in order to reach those items that tend to get lost in the back. Get it on Amazon for $7.99+ (available in 9-, 12-, and 18-inch options) and in four colors. 10. 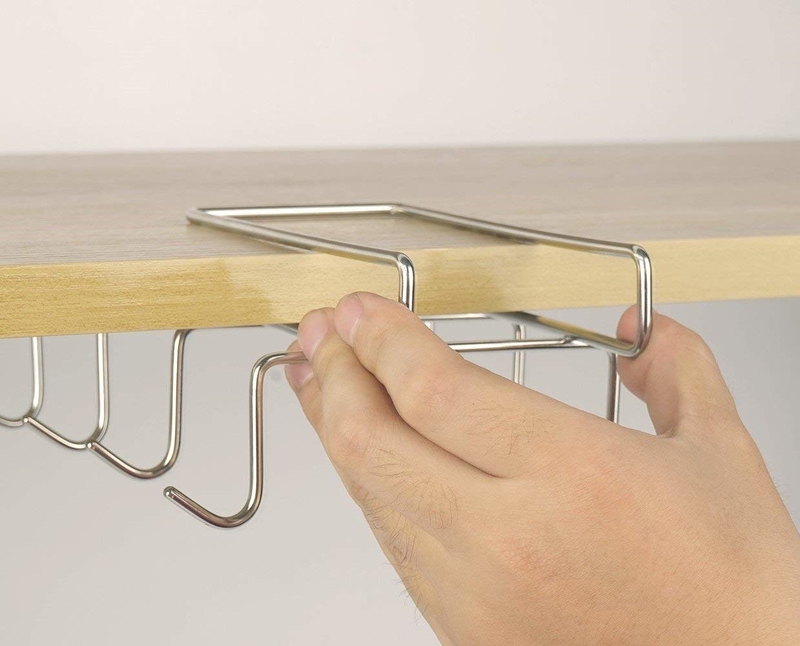 Keep your dishes and platters safe and within reach with a wooden peg board insert for your cabinet drawers that'll let you secure dishes in an organized and completely efficient manner. Get it from Amazon for $41.99+ (available in 24x21, 30x21, and 39x21 sizes). 11. 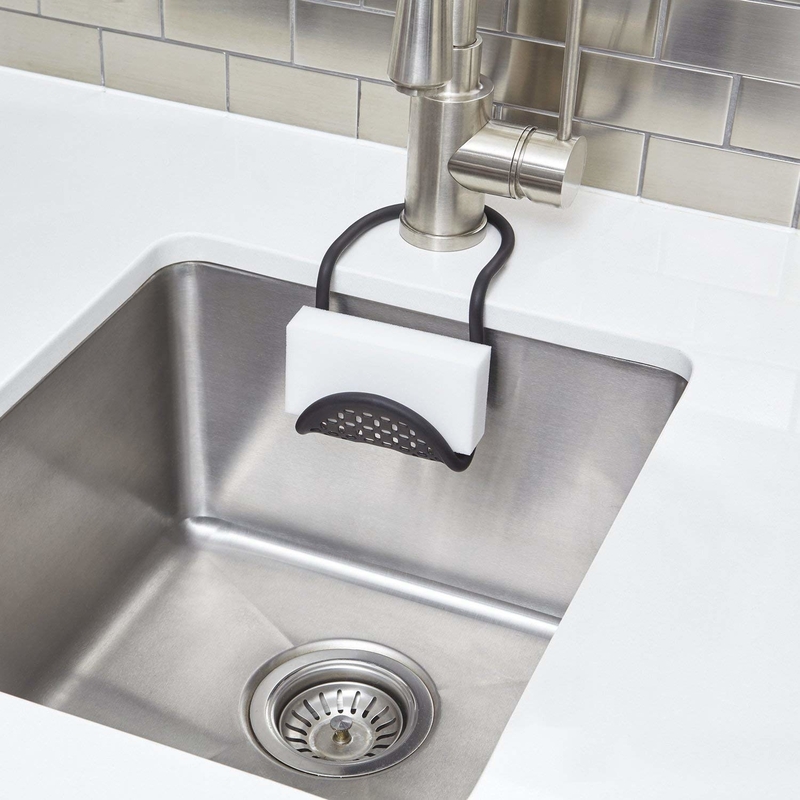 Finally have easy access to the trash when you're cooking, with this handy attachable clip that hangs right on your cabinets. Get it on Amazon for $1.70. 12. 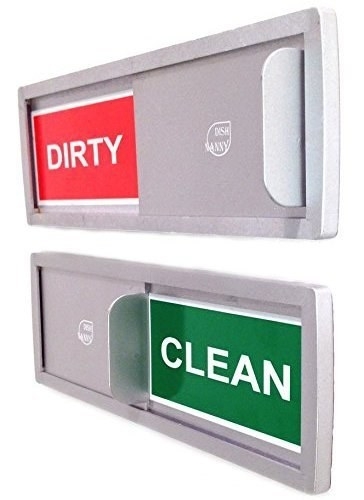 Never worry about whether you're unloading a dirty dishwasher by having a clear magnet that lets you know if the dishes inside are ready to be taken out and neatly put away. Get it from Amazon for $8.95+ (available in silver, black, and white). 13. 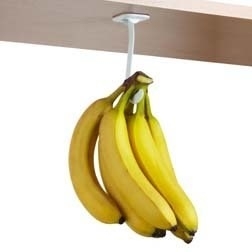 Hang your kitchen towels or bananas with an attachable hook that folds up and out of sight when you don't need it. 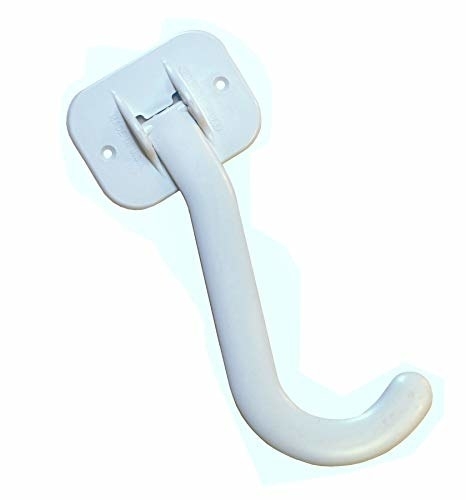 Easily installed with included screws or adhesive tape. Get it on Amazon for $4.75. 14. 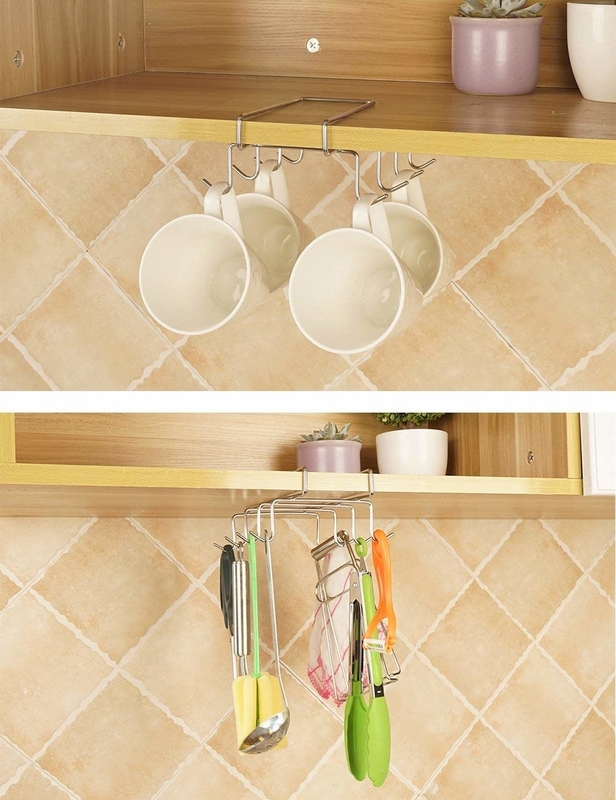 Keep your favorite mugs within reach and tidy with a stainless steel mug rack that you can slide right into the underside of your cabinets. Get them on Amazon for $11.99 (available for 8 or 10 coffee mugs). 15. 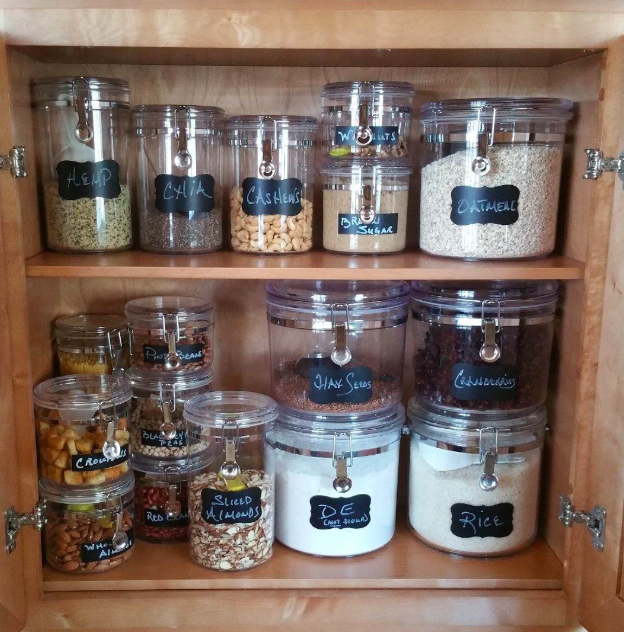 Create the pantry of your dreams with reusable chalkboard labels for all of your storage containers. Get a set of 90 stickers and a 3mm pen on Amazon for $6.99. 16. Maximize a small space by mounting a stainless steel kitchen rack to store all your cutting board, knives, and cooking utensils in one spot. 17. Finally have a place to store all your bulky water bottles by using a durable storage rack designed just for them. 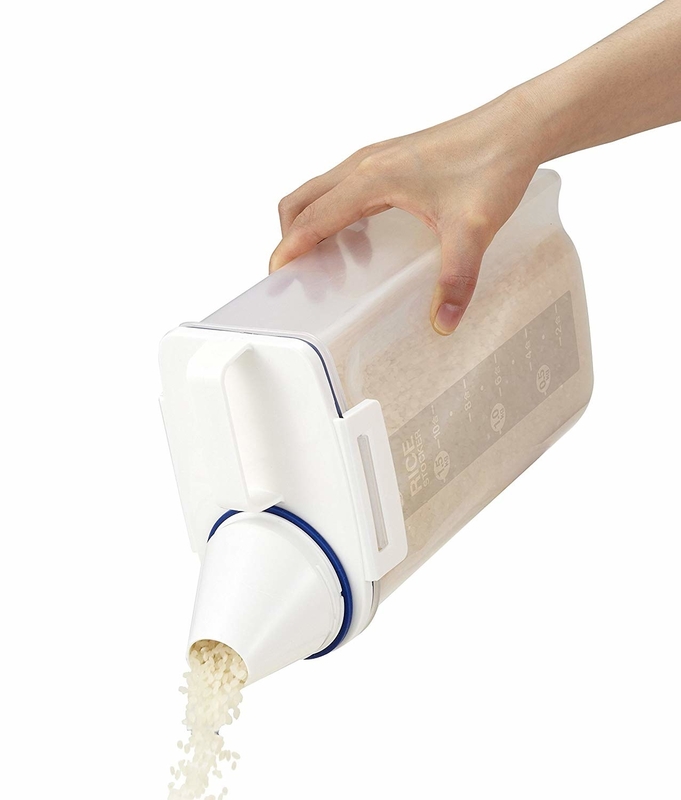 Fits six standard-sized water bottles. 18. If you're short on counter and cabinet space try some hanging over-the-door pantry organizers — they'll visibly store all your go-to items without eating away at your limited space. Get a set of two from Amazon for $12.87. 19. 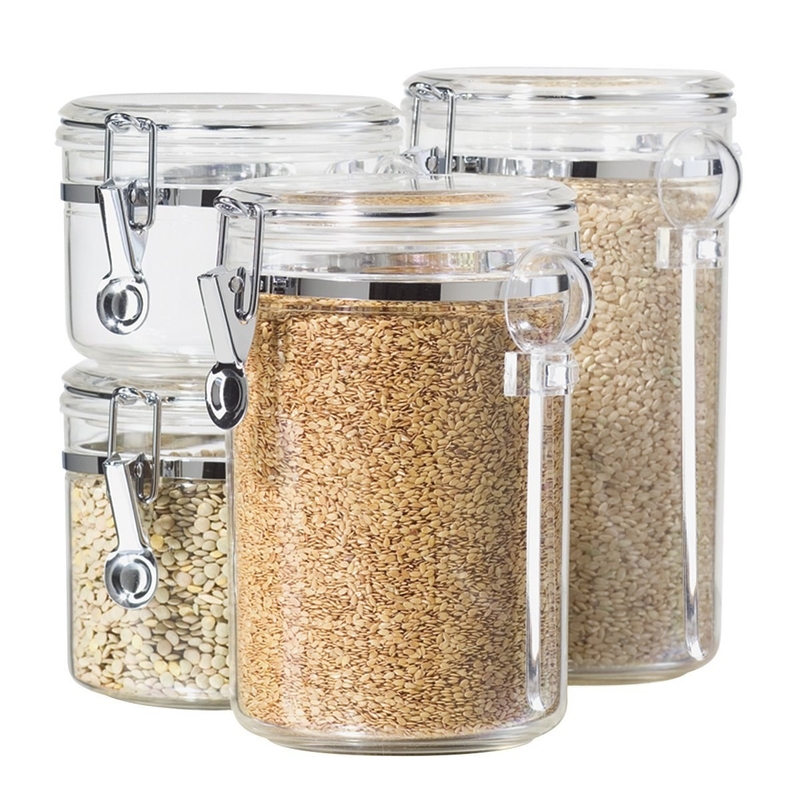 Try a set of acrylic food containers to make your pantry look like it just stepped out of a Pinterest board. Get a set if four on Amazon for $20.49. 20. Utilize the space under your cabinets with wine racks that'll allow you to easily store all your bottles of two-buck Chuck. Get it on Amazon for $15.35. 21. 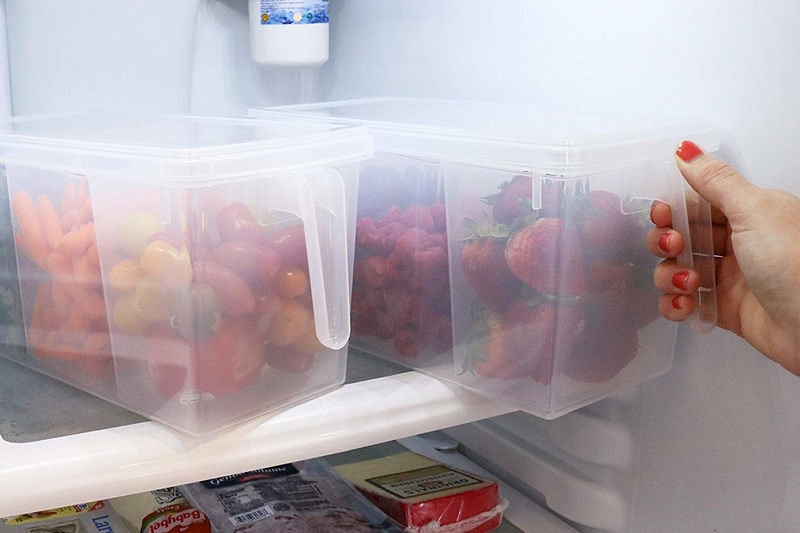 Having a bunch of storage containers can be a total pain, so try optimizing your space with a larger container that holds three separate bins, works in both your fridge or pantry, and comes with a convenient little handle for easy access. Get a set of two from Amazon for $26.05. 22. Stick on a sink caddy to store your sponge, soaps, and brushes. 23. 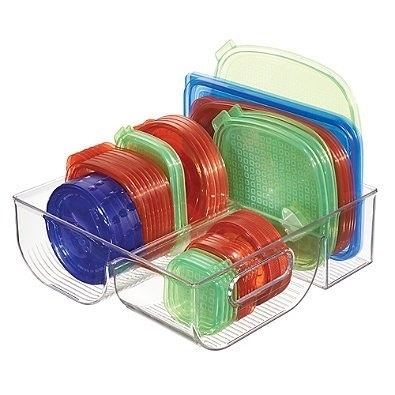 Get a three-compartment lid organizer to finally have a place to neatly store all your storage bin tops. 24. Or if you really want to step it up a notch invest in an organizer for your cabinets specifically designed to hold all your storage containers — it's basically like building a house for them! Designed for a 24" cabinet with a 20.5" opening. Kit includes: wood organizer, eight dividers, a set of slides, 75 lb full-extension slide system, and adjustable chrome wire dividers. The floor of the organizer has a pegboard design that allows you to move the dividers into whatever design you need. Get it from Amazon for $220.99. 25. 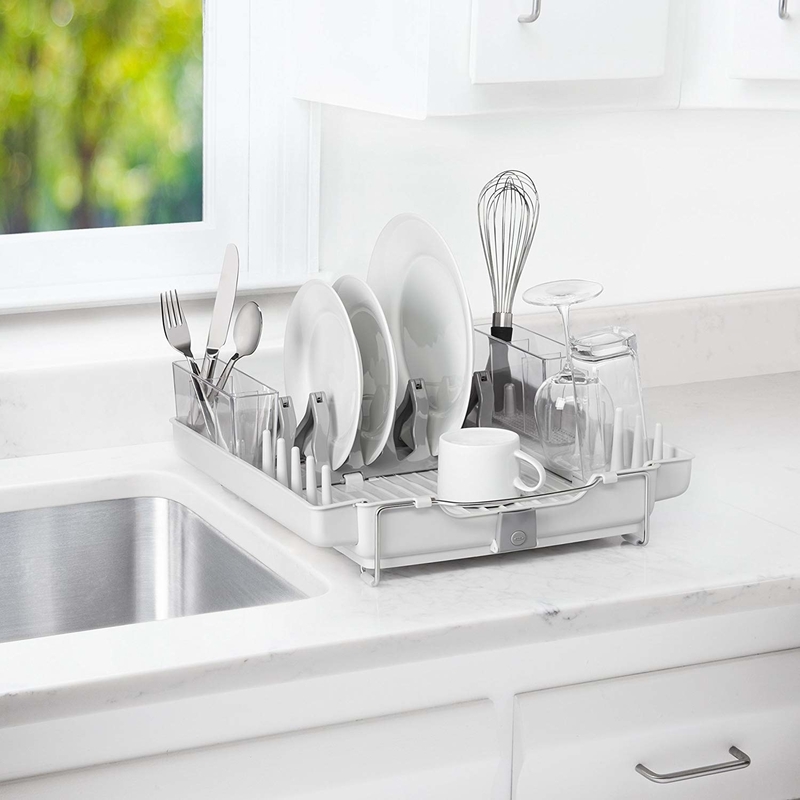 Utilize every corner of your cabinets and counters while creating even more space with a three-tier shelf organizer. 26. 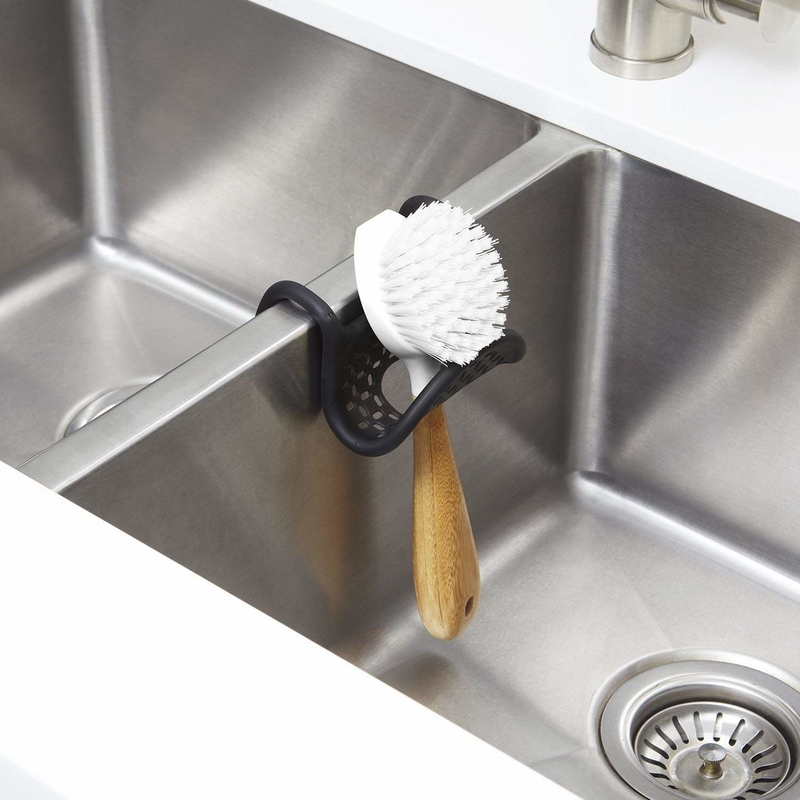 A flexible sink caddy can adjust to your space and give you a sturdy place to hold your dish sponge or brushes. Get it from Amazon for $5+ (available in four colors). 27. Try an organizer for all your baggies, wraps, and foil boxes. 28. 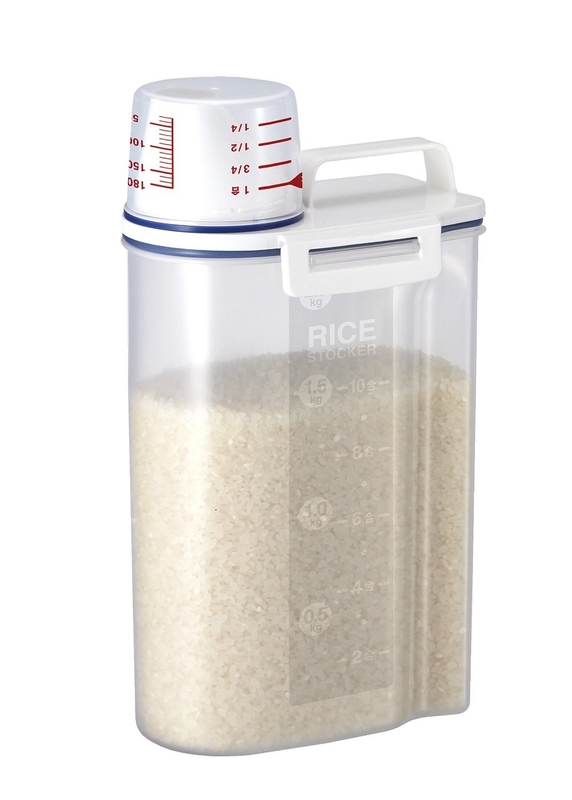 Get a sleek dispenser to store all your extra plastic bags. Mount this grocery bag dispenser by screwing it in to the wall or using the double-sided tape included. 29. If you're short on counter space but don't know what to do with all your clean dishes while they're drying, try a stainless steel dish rack that collapses when not in use for easy storage. 30. 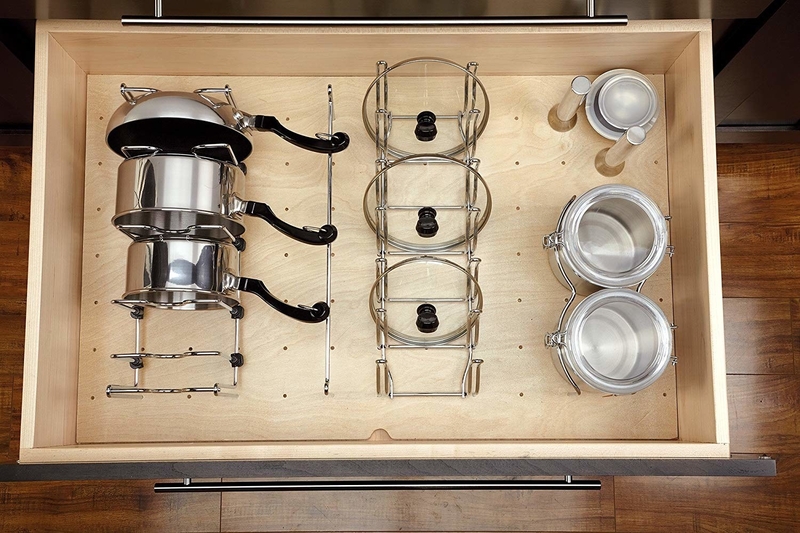 Use an over-the-door cabinet organizer to store your baking sheets, cutting boards, and other kitchen tools that you can't quite figure out how to organize. Get it from Amazon for $13.87 (available in silver and brown). 31. And make using your (often burdensome) kitchen tools and appliances a total breeze with an in-cabinet lift. 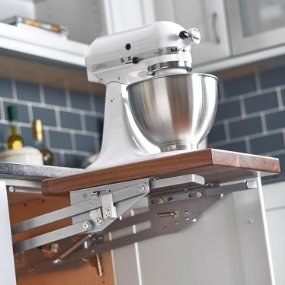 Attach the lift to the side walls of your cabinet, making sure that it has a minimum base frame opening of 12.5" and that it is a full-height cabinet. 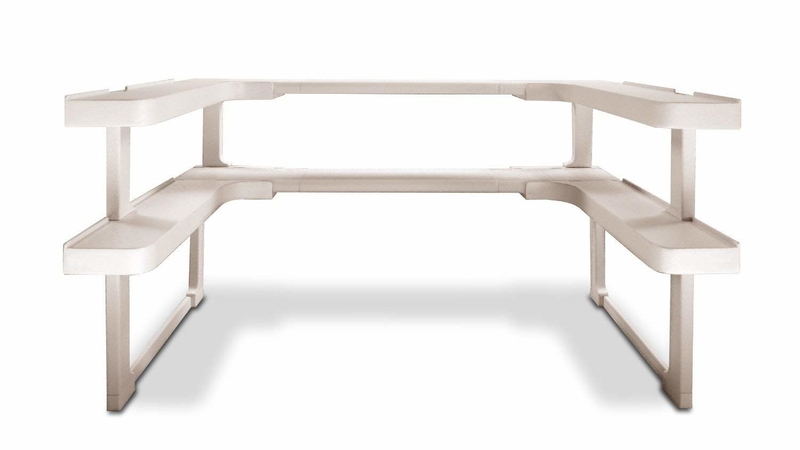 Once attached, secure a custom-cut shelf (not included) onto the mount. After that's done, just place the kitchen appliance of your choice right on top (making sure it doesn't weigh more than 60 pounds) and you're good to go! How I feel when everything is in its place and organized!